OLD PARKED CARS. 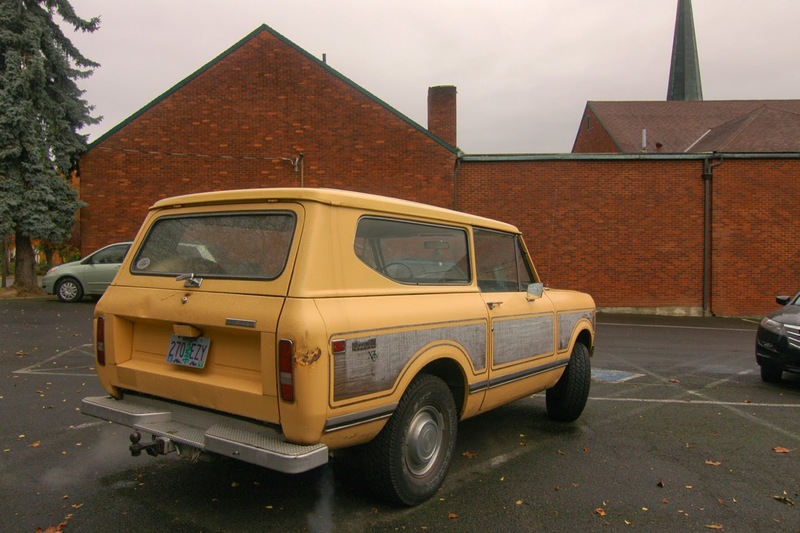 : 1974 International Harvester Scout II XLC. 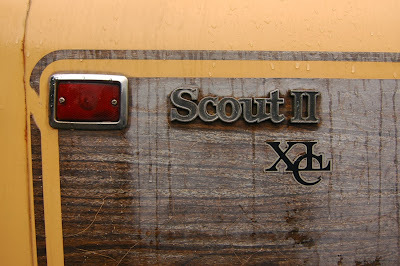 1974 International Harvester Scout II XLC. I wonder what is included with the XLC package. 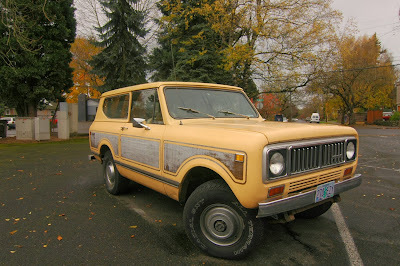 Looks like a normal scout II aside from the wood grain decals. Great website by the way! The XLC labeling makes this at least 1975 model. It stands for "Extra Load Capacity" and means they beefed up the axles and diffs to brings its GVWR up to 6,200 lbs. That figure was the threshold that exempted it from various new emission and safety standards that applied to passenger cars and light trucks with lower GVWRs. I believe all '75 Scouts had the XLC equipment. i thought it stood for his excelency. "... I believe all '75..."
Every US manufacturer had vehicles that they bumped up. It shows what a waste of time it was for government to create that piece of legislation. That patina on the fake wood grain....awesome. 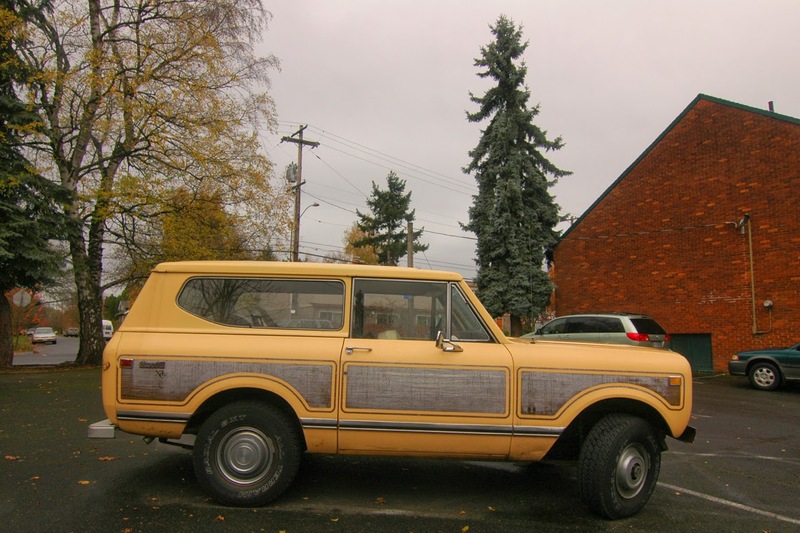 yes, wonderful woodgrain suv. and what a privilege to see it on stock-sized wheels. love learning about new cars this is my favorite new site never knew this car even existed until now.